automatic mapping water detector is based on the Earth’s electromagnetic field as the field source, based on the difference in the conductivity of different underground geological structures, and by studying the variation law of the electric field components at different frequencies to study the geological structure and changes, to find groundwater resources by scientific method. Changes in geological structure are displayed in real-time through multiple curves. Automatic form mapping geological profile by one key operate easily, get rid of complicated computer graphics. The site can quickly understand the geological structure through the automatic mapping curve and profile, and analyze specific information such as aquifers, fractures, faults, and caves. The instrument is widely used in the rapid analysis of geological structure changes in different terrains such as plains, hills, mountains, plateaus, and basins to determine well locations, aquifers, and aquifer depth. 2. Automatic mapping in the instrument, get drilling position and depth result at site. 3. Professional user group offers 24 hours after sale service. 4. The average accuracy of more than 90% from user’s feedback. 5. Four languages including English/Spanish/French/Arabic are optional. 6. 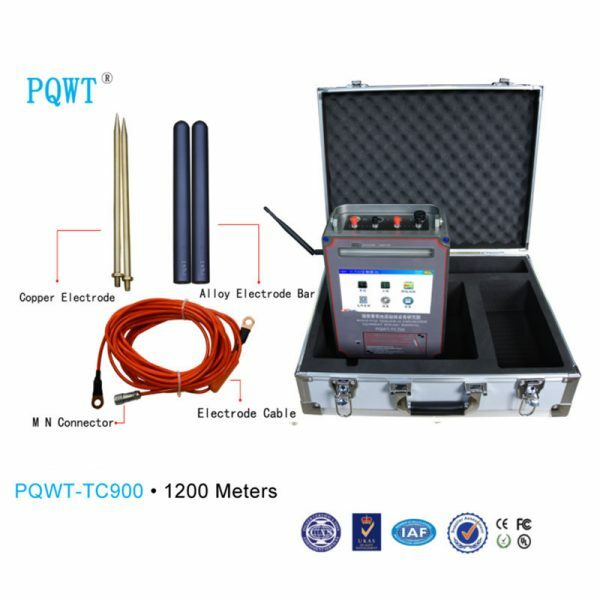 It is widely used for drinking water, agricultural irrigation water detection. 7. Non-professionals can learn the operation way in 5 minutes. 8. only 1-2 people can operate.